New policy replaces need for legislation, allows Civil Service Commission to preferentially hire those who served in IDF, National Service. 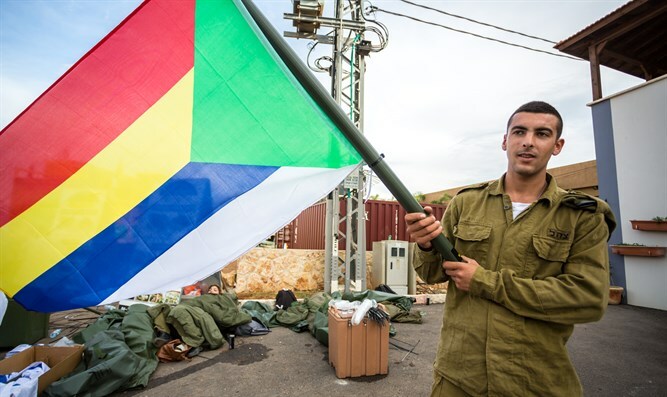 The Civil Service Commission will implement a new policy giving preference to those who served in the IDF or National Service when hiring for civil service positions. The new policy comes following a bill drafted by Jewish Home MK Moti Yogev. Yogev drafted the bill in collaboration with the Zionist organization Im Tirtzu, which proposed granting preference to minorities who served in the IDF or National Service as a way of encouraging more minorities to serve. The bill passed the preliminary Knesset reading by a large majority in December 2017, but has yet to advance due to objections from Arab and haredi members of Knesset, whose constituents generally do not serve and would be negatively affected by the bill. The new policy comes to replace the need for legislation, the Civil Service Commission announced. Preference will be given based on a point system, with IDF or National Service representing one point. Additional points will also be awarded to those who serve in reserve duty or perform community service. "The bill's goal is to convey a simple point: it pays to serve," Yogev said. "IDF and National Service represent an expression of loyalty to the state, and the giving of one's prime years on behalf of the society. The State of Israel must reward those who are loyal and give to it, even at the risk of their own safety." "Minorities who served find themselves lagging behind their counterparts who have begun to study, work, and acquire experience," continued Yogev. "We must therefore reward them by giving them priority in order to balance out the playing field." Matan Peleg, CEO of Im Tirtzu, said the State of Israel has an obligation to encourage minorities to integrate into Israeli society. "Strengthening and encouraging minorities who strive to integrate into Israeli society embodies the values of Zionism and is an important element for the continued existence of Israel as a Jewish and democratic state," said Peleg. "We have an obligation to create real incentives and laud those who have chosen this path, in contrast to those who opt for isolationism and continued battle against the State of Israel."